At Kitching, Steepe & Ludwig, families can take advantage of our Community-Share Floral Service. 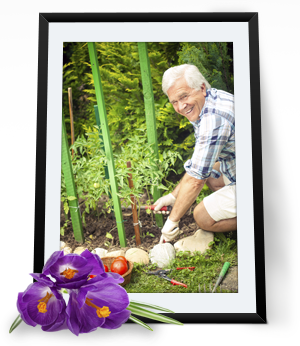 We partner with Ridgeway Florist, here in Waterdown, to take flower arrangements following the funeral, and create small arrangements to donate to local nursing homes and senior residences. The wonderful florists at Ridgeway take leftover arrangements, regardless of which florist they came from, and make new, smaller bouquets in bud vases, and then deliver them to be used as a way to brighten someone's day. If you would like to order flowers, please click the link below to be directed to the Sympathy section on Ridgeway's website. Or you can always call them at the number below.